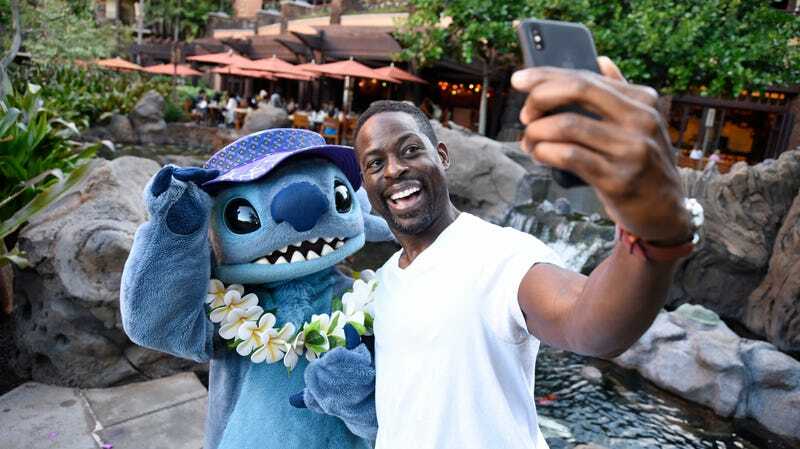 Following hot on the heels of every other animated film the company has ever made, Disney has announced that it’s developing a live-action remake of Lilo & Stitch, the underrated 2002 film about a dog-like alien named Stitch who escapes space-captivity and befriends a human girl named Lilo in Hawaii. The new version will be a blend of live-action stuff and computer-generated stuff, as these movies often are, which presumably means the humans will be human and the various aliens—like Stitch and the characters trying to recapture him—will be CG. Speaking of the other aliens, there’s a big shark guy who is kind of the villain (even though he’s just doing his job), and he seems like the perfect character for Dwayne Johnson. Just throwing that out there in case Disney needs help with this. This news comes from The Hollywood Reporter, which says “up-and-comer” Mike Van Waes will write the script of the new Lilo & Stitch, and it will be produced by Dan Lin and Jonathan Eirich (who are currently working on Guy Ritchie’s live-action Aladdin). THR notes that we don’t know yet if this will be a theatrical release or a straight-to-streaming movie like the live-action Lady And The Tramp, but the latter seems a bit more likely since Lilo & Stitch isn’t really one of Disney’s hottest properties (no offense, Stitch-heads). Why remake Beauty And The Beast and do nothing new with its tale as old as time?